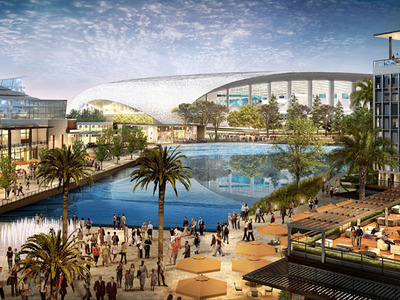 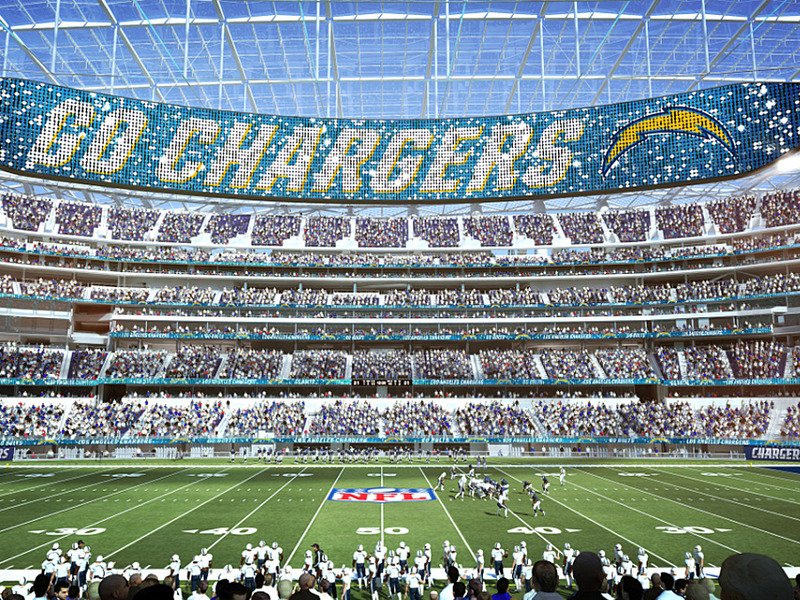 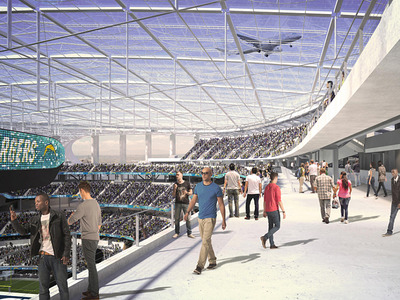 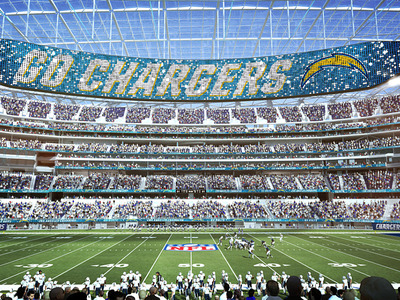 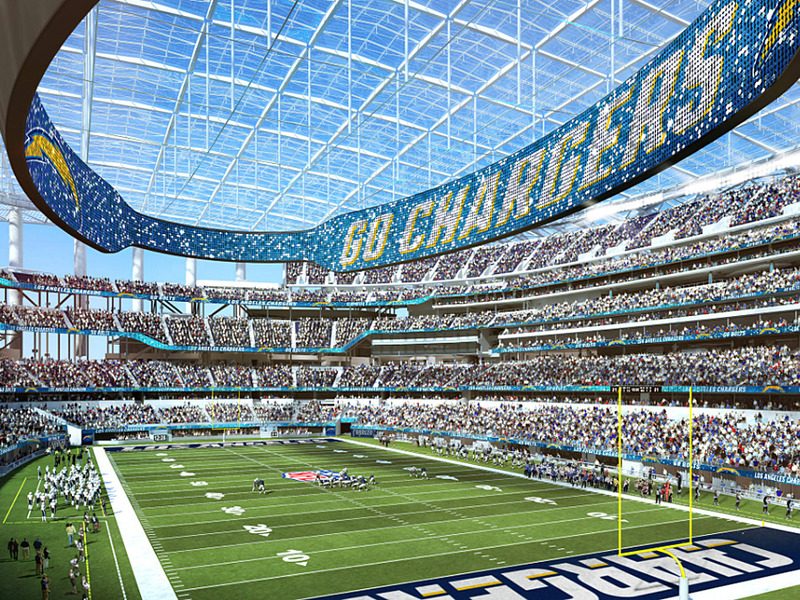 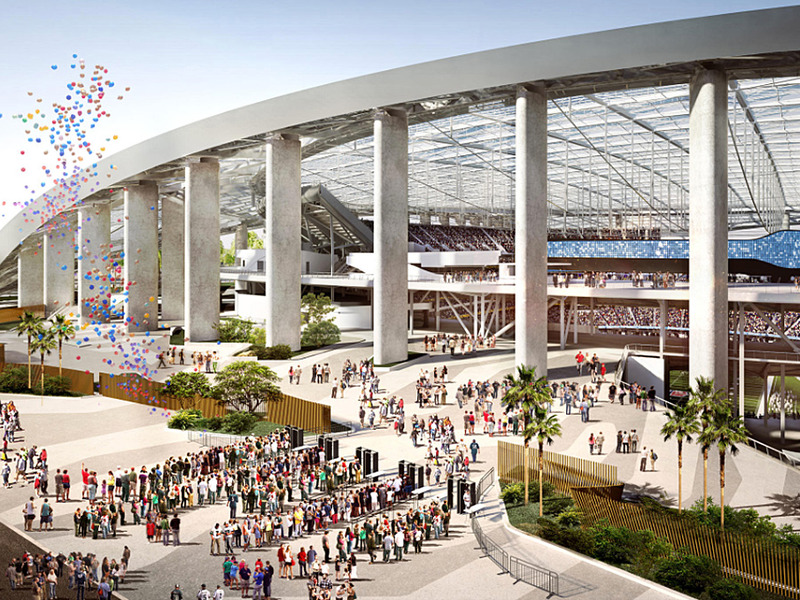 In 2020, the Los Angeles Rams and Los Angeles Chargers hope to share a stadium in Inglewood, California. 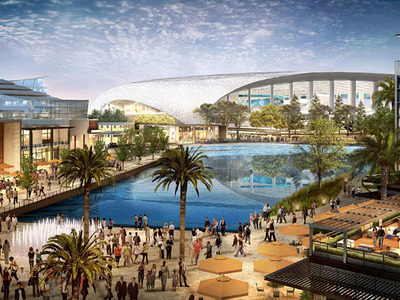 The LA Stadium, which will house both teams, is a massive, sprawling $US2.6 billion project that will host year-round sports and entertainment events. 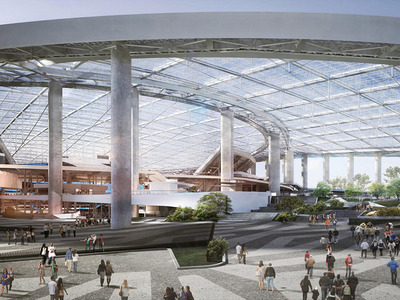 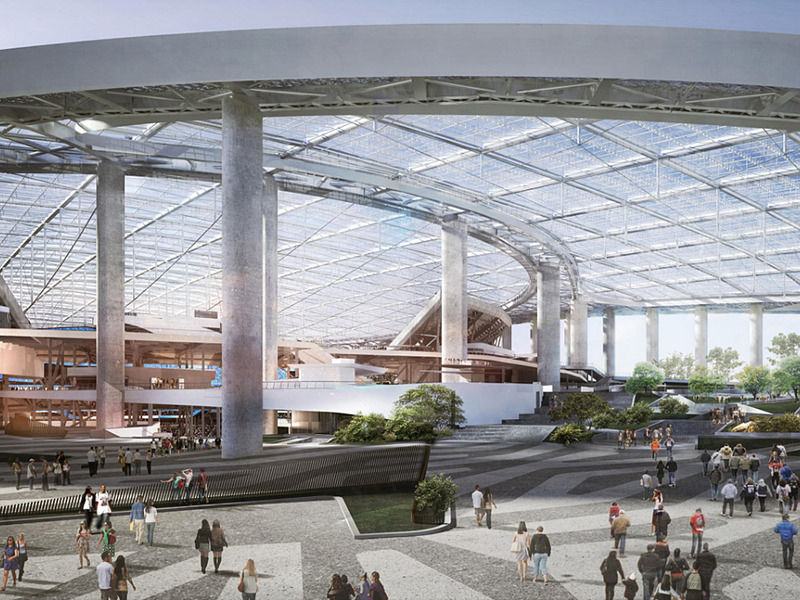 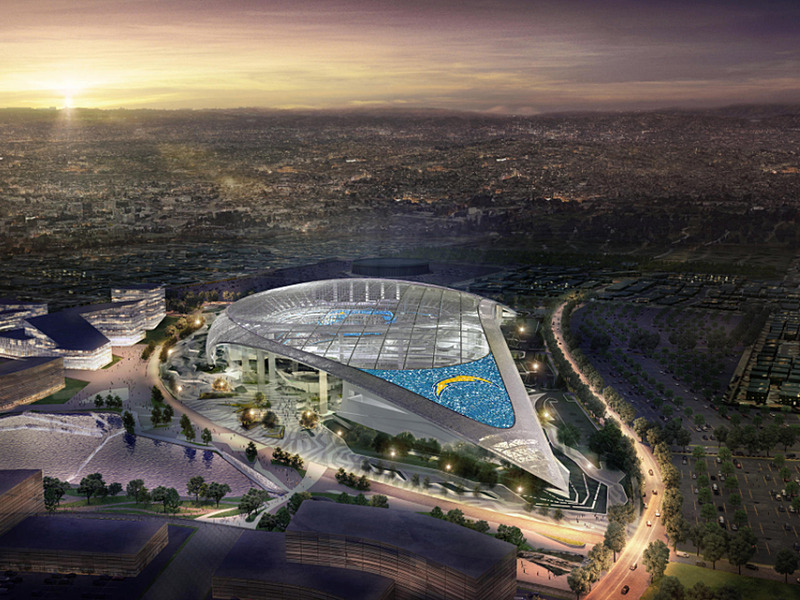 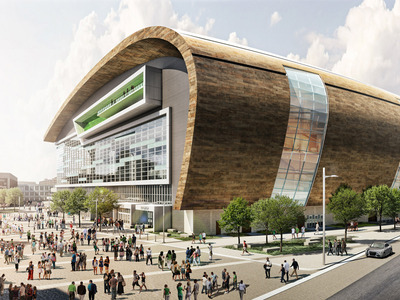 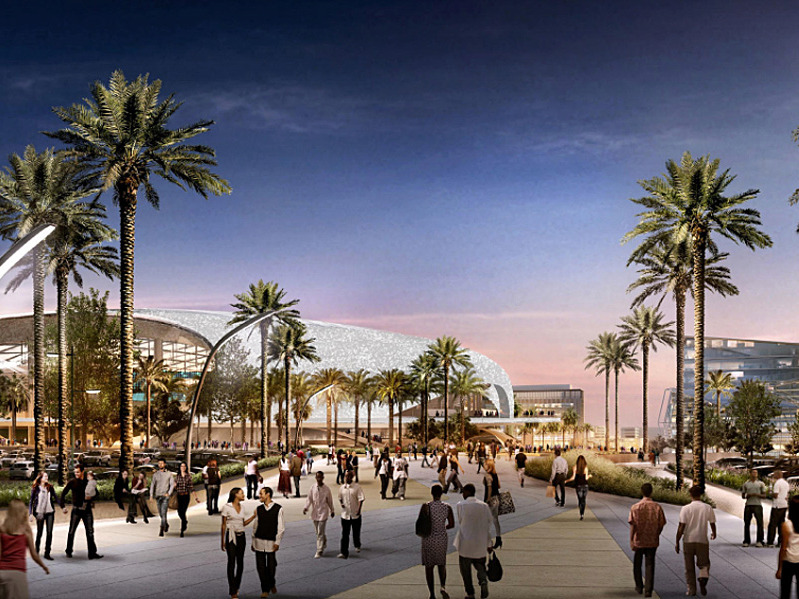 It’s also slated to host the opening and closing ceremonies for the 2028 Olympics in L.A.
Renderings of the arena show a sleek, state-of-the-art, open-air building, with plenty of restaurants and bars, community spaces, and the in-vogue “halo” scoreboard the Atlanta Falcons brought to the NFL. 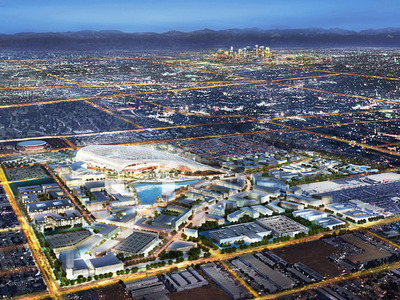 The entire complex sprawls over 298 acres just outside of L.A. 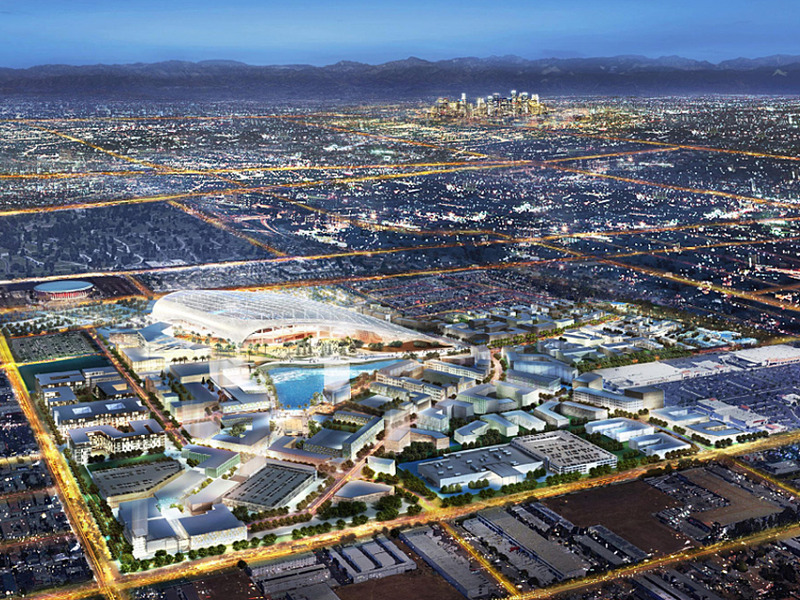 The complex will include retail and residential space. The space is pretty scenic. The outdoor area certainly has an L.A.-vibe. 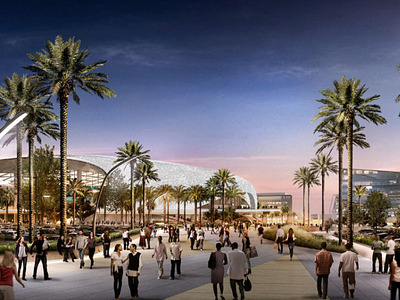 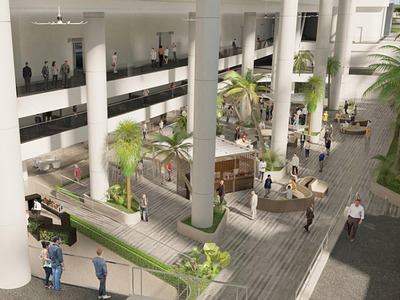 The big, open-air “Champions Plaza” lets visitors into the stadium. Once inside, visitors are welcomed to a sprawling entryway that leads to the seats. There are some airy community spaces. 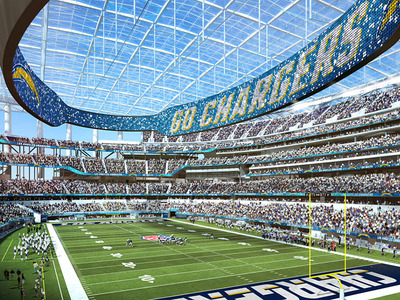 The venue itself is bright and offers good views even from the nosebleeds. 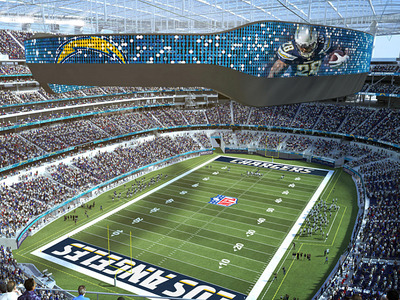 A look at the “halo” scoreboard. 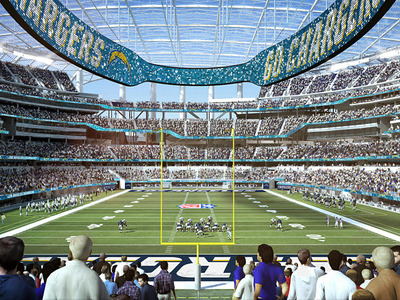 And the end zone view. The open-air sections at the end zones might allow for some nice breezes on the field. The open concourses are a nice touch. 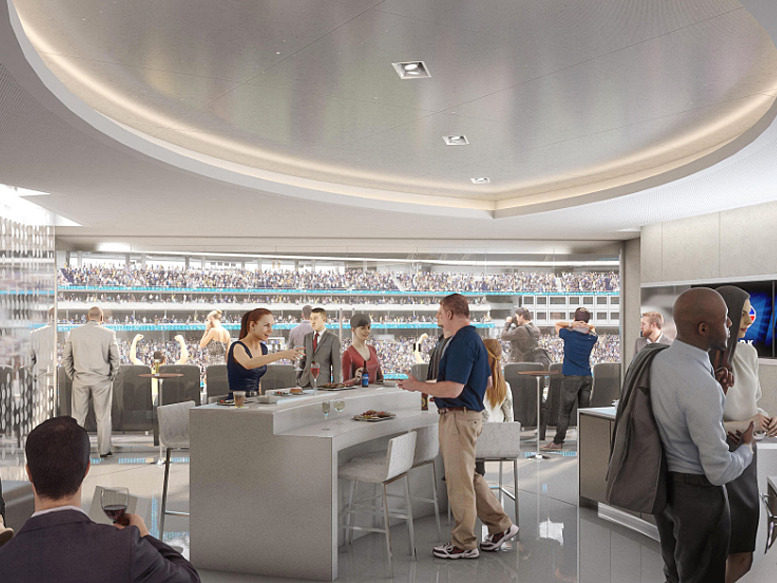 The suites are pretty standard. 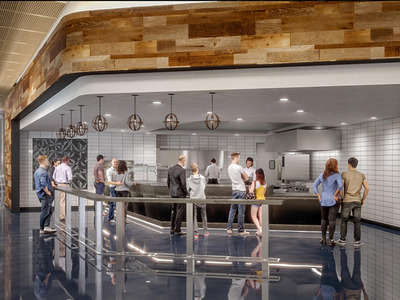 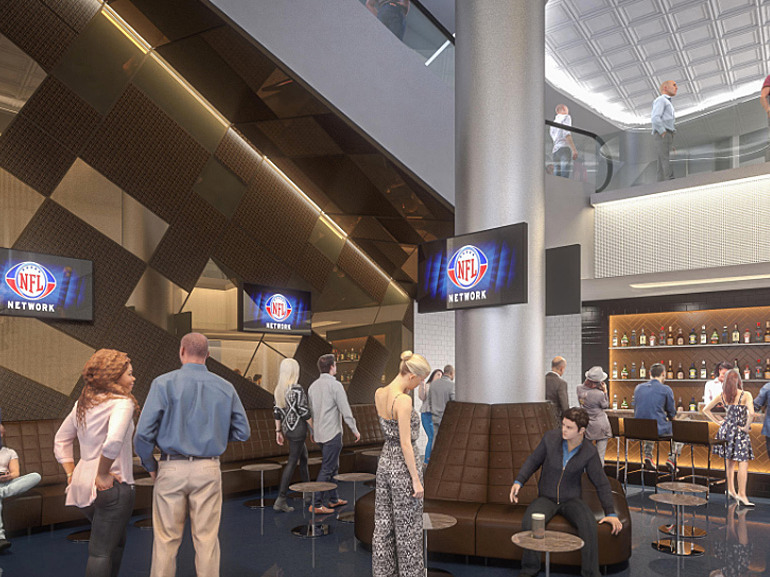 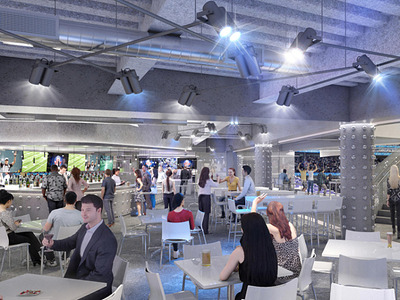 There are over 13,000 premium seats available, and some clubs come with sleek-looking spaces. 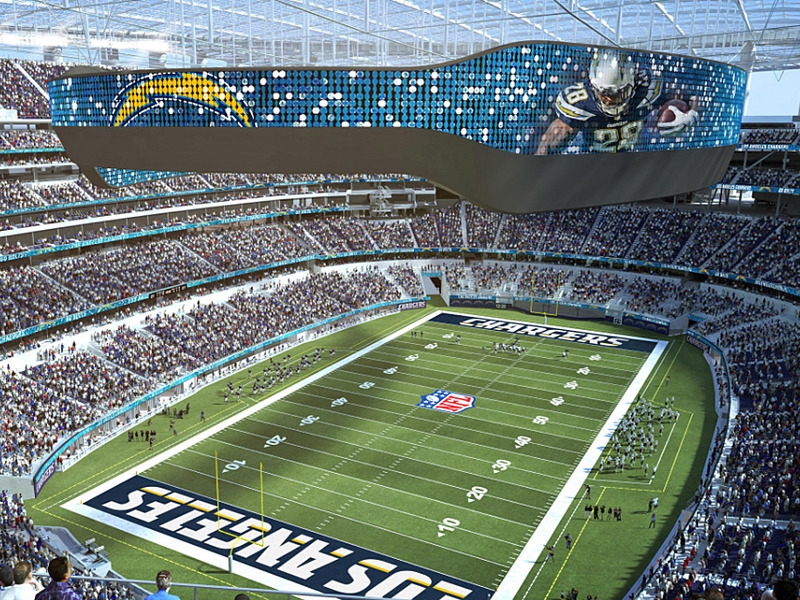 There are three different tiers of premium seats and they come with some varying benefits. 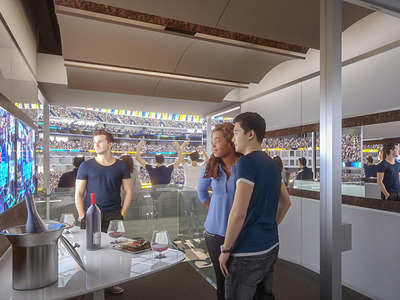 More community spaces for people to gather. 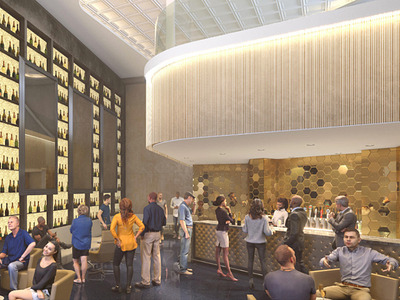 There are even trendy-looking bars!